My laboratory is using a combination of techniques to understand how neurons of the hippocampus play a role a role in memory encoding and recall in freely behaving mice. We are also interested in how neurons of the the medial septum, a region well known to project massively to hippocampus, can enhance learning and memory. We perform the experiments using electrophysiology to determine brain-states, optogenetics to manipulate brain circuits and miniature epifluorescent microscope (also named UCLA miniscopes) to understand neuronal dynamics at the population level during memory tasks. We also have an interest in revealing how sleep, and especially REM sleep, enhances memory consolidation (Boyce et al., 2016). The overarching goal of my laboratory is to understand the neuronal mechanisms underlying memory function in normal and in Alzheimer’s disease. Understanding how cell assemblies code for memory encoding and recall. We are interested in determining how neurons in the hippocampus and its sub-regions can code and recall memory events. Why do the neural circuits in the CA1 and subiculum have such a distinct role than other hippocampal areas? These investigations are done using calcium imaging, electrophysiology and optogenetics in freely behaving mice performing cognitive tasks. What is the neural mechanism of memory consolidation during sleep? The hippocampus and other brain regions play important role in enhancing the conversion of memory to long-term memory during sleep. However, there are at least two different states in sleep; slow-wave and rapid-eye movement (REM)-sleep. How do these two sleep states contribute to memory consolidation? We are interested in identifying the mechanisms underlying these two states in memory consolidation. The septum is divided into the medial and the lateral septum. The medial septum provides a powerful input to the hippocampus and entorhinal cortex and has been shown to play a critical role in memory-related hippocampal oscillations while the lateral part receives a massive input from the hippocampus and provide a circuit important for the association between spatial contextual cues and reward. We are interested in understanding how the different cell types of the medial and lateral septum contribute to memory encoding and recall in freely behaving mice. Developing new methods to visualize and manipulate memory- related neurons during behaviour. There is a revolution going on in neuroscience concerning the recent developments of research tools for observing and manipulating neurons during cognition. My laboratory as invested a great deal of efforts to develop the latest methods of optogenetics, electrophysiology, and, more recently, calcium imaging of neuronal populations using miniature microscopes in freely behaving mice. How circuits are altered in Alzheimer’s disease and finding approaches to reverse memory deficits in AD. While there is ample evidence of how individual neurons are affected in AD, we poorly understand how neuronal dynamics at the population level are affected. One important goal we have is to use optogenetics to re-establish normal population dynamics and memory function in AD mice models. Benedicte Amilhon, Carey Y.L. Huh, Frederic Manseau, Guillaume Ducharme, Heather Nichol, Antoine Adamantidis, and Sylvain Williams. Parvalbumin Interneurons of Hippocampus Tune Population Activity at Theta Frequency. Neuron 86, 1–13, June 3, 2015. GU N, JACKSON J. , GOUTAGNY R., LOWE G. , Manseau F. and Williams S. NMDA dependent phase synchronization between septal and temporal CA3 hippocampal networks. J. Neuroscience, 2013, 33(19), 8276-87. Goutagny R., Gu N. , Cavanagh C., Jackson J, Chabot J-G, Quirion R, Krantic S and Williams S. Alterations in hippocampal network oscillations and theta-gamma coupling arise before A overproduction in a mouse model of Alzheimer’s disease. European J. Neuroscience, 2013, 37(12), 1896-902. Ducharme, G., Goutagny, R. , Lowe, G. and Williams S.. Early alterations in hippocampal circuitry and theta rhythm generation in a mouse model of prenatal infection: Implications for schizophrenia. PLOS ONE 2012;7(1):e29754. Jackson, J, Goutagny, R, and Williams, S. Fast and slow gamma rhythms are intrinsically and independently generated in the subiculum. J.Neuroscience, 2011. Aug 24;31(34):12104-17. Williams S. and Boksa. Gamma oscillations and Schizophrenia. Journal of Psychiatry and Neuroscience. Editorial, J Psychiatry Neurosci. 2010 Mar;35(2):75-7. Huh CY.L., Goutagny R, and Williams S. Glutamatergic neurons of the mouse medial septum and diagonal band of Broca synaptically drive hippocampal pyramidal cells: relevance for hippocampal theta rhythm. J.Neuroscience 2010, November 24, 2010, 30(47):15951-15961. GoutagnyR, Jackson JJ., Williams S. Self-generated theta oscillations in the hippocampus. Nature Neuroscience. 2009 Dec;12(12):1491-3. Reviewed in the Nature Neuroscience NEWS AND VIEWS: Hippocampal theta rhythms follow the beat of their own drum. By Colgin LL, Moser EI. Nat Neurosci. 2009 Dec;12(12):1483-4. F1000 reviewed. Following a PhD at Université de Montréal in the neurological sciences with Dr Jean-Claude Lacaille (1989-94), I was a postdoctoral fellow with Drs Michel Muhlethaler and Laurent Bernheim at Geneva University in Switzerland (1994-97). There I explored the role of physiological properties of septal and basal forebrain cells in producing network activity. I also did a one year postdoc at the University of Calgary with Brian MacVicar to study cytokines, imaging and neuromodulation.  In February 1999, I moved to the Douglas Hospital to set-up my own laboratory. I was named assistant professor of psychiatry at McGill in 1999, associate professor in 2007, and full professor in 2015. Mondragon-Rodriguez S, Salas-Gallardo A, González-Pereyra P, Macías M, Ordaz B, Peña-Ortega F, et al. Phosphorylation of Tau protein correlates with changes in hippocampal theta oscillations and reduces hippocampal excitability in Alzheimer's model. J Biol Chem. 2018;293(22):8462-8472. Mondragon-Rodriguez S, Gu N, Manseau F, Williams S. Alzheimer's Transgenic Model Is Characterized by Very Early Brain Network Alterations and β-CTF Fragment Accumulation: Reversal by β-Secretase Inhibition. Front Cell Neurosci. 2018;12:121. Nichol H, Amilhon B, Manseau F, Badrinarayanan S, Williams S. Electrophysiological and Morphological Characterization of Chrna2 Cells in the Subiculum and CA1 of the Hippocampus: An Optogenetic Investigation. Front Cell Neurosci. 2018;12:32. González OC, Shiri Z, Krishnan GP, Myers TL, Williams S, Avoli M, et al. Role of KCC2-dependent potassium efflux in 4-Aminopyridine-induced Epileptiform synchronization. Neurobiol Dis. 2018;109(Pt A):137-147. Manseau F, Williams S. Tuning in the Hippocampal Theta Band In Vitro: Methodologies for Recording from the Isolated Rodent Septohippocampal Circuit. J Vis Exp. 2017;(126). Fasano C, Rocchetti J, Pietrajtis K, Zander J-, Manseau F, Sakae DY, et al. Regulation of the Hippocampal Network by VGLUT3-Positive CCK- GABAergic Basket Cells. Front Cell Neurosci. 2017;11:140. Boyce R, Williams S, Adamantidis A. REM sleep and memory. Curr Opin Neurobiol. 2017;44:167-177. Shiri Z, Lévesque M, Etter G, Manseau F, Williams S, Avoli M. Optogenetic Low-Frequency Stimulation of Specific Neuronal Populations Abates Ictogenesis. J Neurosci. 2017;37(11):2999-3008. Boyce R, Glasgow SD, Williams S, Adamantidis A. Causal evidence for the role of REM sleep theta rhythm in contextual memory consolidation. Science. 2016;352(6287):812-6. Robinson J, Manseau F, Ducharme G, Amilhon B, Vigneault E, Mestikawy SE, et al. Optogenetic Activation of Septal Glutamatergic Neurons Drive Hippocampal Theta Rhythms. J Neurosci. 2016;36(10):3016-23. Shiri Z, Manseau F, Lévesque M, Williams S, Avoli M. Activation of specific neuronal networks leads to different seizure onset types. Ann Neurol. 2016;79(3):354-65. Huh CY, Amilhon B, Ferguson KA, Manseau F, Torres-Platas SG, Peach JP, et al. Excitatory Inputs Determine Phase-Locking Strength and Spike-Timing of CA1 Stratum Oriens/Alveus Parvalbumin and Somatostatin Interneurons during Intrinsically Generated Hippocampal Theta Rhythm. J Neurosci. 2016;36(25):6605-22. Avoli M, de Curtis M, Gnatkovsky V, Gotman J, Köhling R, Lévesque M, et al. Specific imbalance of excitatory/inhibitory signaling establishes seizure onset pattern in temporal lobe epilepsy. J Neurophysiol. 2016;115(6):3229-37. Isingrini E, Perret L, Rainer Q, Amilhon B, Guma E, Tanti A, et al. Resilience to chronic stress is mediated by noradrenergic regulation of dopamine neurons. Nat Neurosci. 2016;19(4):560-3. Shiri Z, Manseau F, Lévesque M, Williams S, Avoli M. Interneuron activity leads to initiation of low-voltage fast-onset seizures. Ann Neurol. 2015;77(3):541-6. Ferguson KA, Huh CY, Amilhon B, Manseau F, Williams S, Skinner FK. Network models provide insights into how oriens-lacunosum-moleculare and bistratified cell interactions influence the power of local hippocampal CA1 theta oscillations. Front Syst Neurosci. 2015;9:110. Amilhon B, Huh CY, Manseau F, Ducharme G, Nichol H, Adamantidis A, et al. Parvalbumin Interneurons of Hippocampus Tune Population Activity at Theta Frequency. Neuron. 2015;86(5):1277-89. Jackson J, Amilhon B, Goutagny R, Bott J-, Manseau F, Kortleven C, et al. Reversal of theta rhythm flow through intact hippocampal circuits. Nat Neurosci. 2014;17(10):1362-70. Mondragón-Rodríguez S, Perry G, Luna-Muñoz J, Acevedo-Aquino MC, Williams S. Phosphorylation of tau protein at sites Ser(396-404) is one of the earliest events in Alzheimer's disease and Down syndrome. Neuropathol Appl Neurobiol. 2014;40(2):121-35. Ferguson KA, Huh CY, Amilhon B, Williams S, Skinner FK. Simple, biologically-constrained CA1 pyramidal cell models using an intact, whole hippocampus context. F1000Res. 2014;3:104.